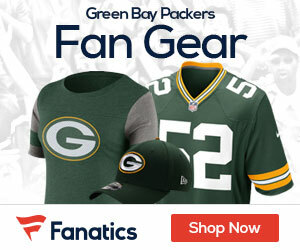 The 2007 season saw the New York Giants roll into Lambeau Field and stun the Packers in the NFC Title game in what wound up being the last game as a Packer for Brett Favre. Sunday the two teams do battle again, this time in the divisional round as the teams fight for the chance to take on the 49ers in next Sunday night’s NFC Title game. The game will be played under the backdrop of tragedy, as the Packers and offensive coach Joe Philbin suffered a tragic loss this past week. The buildup has taken a back seat after the loss of 21-year-old Michael T. Philbin, who disappeared early Sunday and was reported missing that night. His body was recovered from the Fox River by divers on Monday, and preliminary autopsy results showed that the younger Philbin drowned. Joe Philbin was away from the team all week, but reports late Saturday night stated that he would be with the team on Sunday, and it will for sure be motivation for the 15-1 Packers, who seem to be getting little respect in this matchup. League MVP favorite Aaron Rodgers and fellow Pro Bowl selection Eli Manning will meet in the playoffs for the first time. Rodgers threw for 369 yards and four touchdowns and Manning had 347 and three scores in last month’s meeting between Super Bowl MVPs, as the Packers won in NY on the final play 38-35. Rodgers, 2-0 against the Giants, threw for 45 TDs and 4,643 yards with six interceptions and an NFL-record 122.5 passer rating this season. Manning fell 67 yards shy of 5,000 before completing 23 of 32 passes for 277 yards with three touchdowns in last Sunday’s 24-2 win over Atlanta in a wild-card game where the G-Men dominated on defense and did enough on offense to move on. The Packers have won 13 straight at home. This is the first postseason game at Lambeau since the Giants’ 23-20 overtime win in the NFC title game four seasons ago, when Manning outplayed Favre. New York’s defense will again be called upon to lead the way against the Pack. They are back to getting a solid pass rush, with Pro Bowler Jason Pierre-Paul and defensive end Osi Umenyiora combining to put heat on opposing QB’s. After a solid effort against Dallas in a 31-14 NFC East clincher in Week 17, the Giants’ defense held the Falcons’ offense scoreless last week. 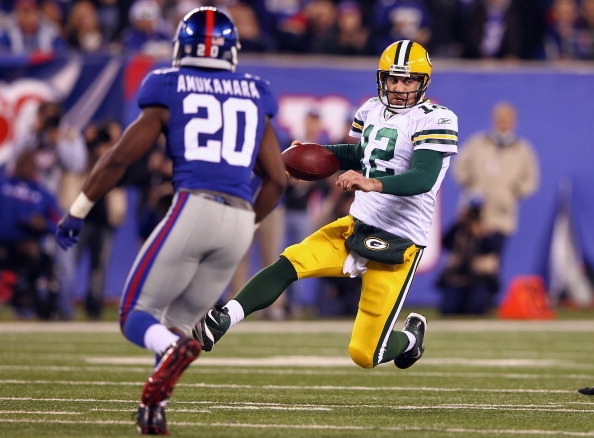 They will have their stiffest test of the 2011 season against Rodgers and the Packers offense. The Giants (10-7) will be trying to exploit a Green Bay defense that ranked last in the NFL in the regular season, although the unit produced a league-high 31 interceptions, meaning Manning has got to be careful with the football. Green Bay (15-1) figures to be tested by a Giants passing attack that has seen Manning hook up frequently with Victor Cruz (1,536 yards) and Hakeem Nicks (1,192). New York had the league’s least productive running game in the regular season before gaining a season-high 172 yards on the ground last week. The Giants are visiting Lambeau for the first time since last season’s 45-17 loss, in which Rodgers threw for 404 yards and four TDs. New York could have clinched a playoff spot, but was eliminated the next week while the victory started Green Bay’s 19-game win streak. No one seems to want to give the Packers their due. They have won 19 of 20 for a reason, and while the G-Men are playing good football, they are gonna be playing a dangerous team with emotion on their side, and a chip on their shoulder since no one is giving them much respect. Look for Rodgers to go right after the Giants D with quick, short passes, and the YAC (yards after catch) for the Packers wide outs and TE’s will be a key factor in this matchup. Too much offense for the Pack, while the Giants will have some success on offense, they won’t be able to go stride for stride.